In early centuries, OCD sufferers sought help mostly from the clergy. The clergy became quite familiar with the illness because of their day-to-day dealings with troubled parishioners. The clergy's books emphasized that fear (anxiety) underlies Os and Cs. Anglican bishop John Moore pointed out that trying to suppress distressing thoughts can make them worse.3 The clergy's books were also heavy on practical advice, such as seeking the company of other people and keeping oneself steadily occupied. 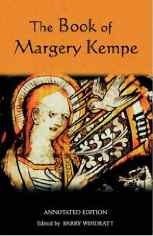 By the late 1600s, the clergy had developed significant psychological insight into Os and Cs. But their role in treating such conditions was being challenged by the medical profession. A paradigm shift was underway. 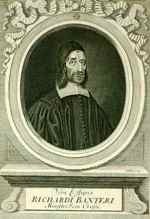 1See Richard Baxter (late 1600s) and John Moore (1692). 3John Moore (1692). Later, the noted 18th-century author Samuel Johnson made a related observation. And see Giovanni Battista Scaramelli (1754). 4Ignatius of Loyola (1500s), Hannah Allen (1683), and John Bunyan (1666). For a 19th century autobiographical account, see Archibald Alexander's friend (1844), and for one from the 20th century teenager's obsessive health fears (1929).